Believe it or not, Ray-Ban is probably in more movies than your favorite Hollywood celeb. (SPOT.ph) There’s no doubt that eyewear brand Ray-Ban has become a household name over the years...80, to be exact. The fact that you can take their frames from decades ago, wear them today, and still look hella stylish cements their reputation as the global leader in sunglasses and prescription eyewear. But before their timeless frames became a fashion staple and pop culture icon, Ray-Ban pairs were designed to serve a military function. Yes, long before Tom Cruise rocked his badass gold-rimmed Aviators in the Top Gun film in 1986 or before Michael Jackson wore them during his legendary Super Bowl performance in 1993, the Aviators were used by U.S. Army Air Corp pilots during World War II. As the first sunglasses to use a green anti-glare lens which filtered out UV rays, they helped make it easier to fly miles above sea level. The tear-drop design just happens to be universally cool up to this day. Oh, and in case you were wondering, Ray-Ban’s name isn’t shorthand of the founders’ surnames. Super fun fact: It’s actually because their pairs are specially designed to ban the sun’s rays! Get it? Ray-Ban. Rays = Banned. Your mind = Blown. While you’re recovering, let’s take a good look at how the brand achieved its rock-star status through the years. In 1937, American eye-care company Bausch & Lomb was the first to create optical glass. And because World War II was already brewing, the military needed optical instruments like torpedo sights, periscopes, searchlight mirrors, and eventually, sunglasses with anti-glare lens to be used by the U.S. Army Air Corp, hence the name "Aviators." The original Aviators, however, featured plastic frames instead of the metal we're all familiar with. A bit of trivia: General Douglas MacArthur was wearing a pair of Aviators when he landed in the Philippines, which played a big part in the brand's rise to popularity. It was in 1938 when Bausch & Lomb branded the pair as Aviators Ray-Ban. By the end of the ‘30s, Ray-Ban had released two more styles: The Shooter and the Outdoorsman. The Shooter was designed to minimize haze and mist, plus it had a cigarette holder so that the shooter can keep their hands free while they’re hunting—pretty genius if you ask us. The Outdoorsman was meant for outdoor activities like fishing, hunting, and shooting. Right smack in the middle of World War II, more and more pilots wore Ray-Ban shades in-flight. Because of this, Ray-Ban had to design gradient mirror lens so that pilots could easily see the plane’s instrument panel while still providing protection from the sun’s rays. It was also the decade when Ray-Ban transitioned from function to fashion, since the military-style was at an all-time high in the '40s, paving the way for newer and more au courant styles to steal the spotlight (quite literally) later on in the ‘50s. 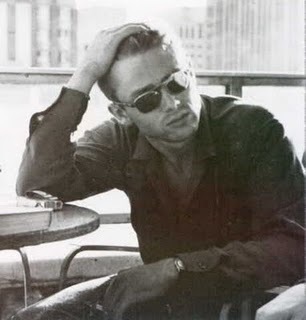 Ray-Ban launched the Wayfarers in 1952, and James Dean made them popular in 1955 when he put them on for the movie Rebel Without a Cause. The Wayfarers weren’t like any of Ray-Ban’s older styles—the frames were thick and made from plastic and had temples that flared. Then in 1961, Audrey Hepburn immortalized that classic black pair in the film Breakfast at Tiffany’s. 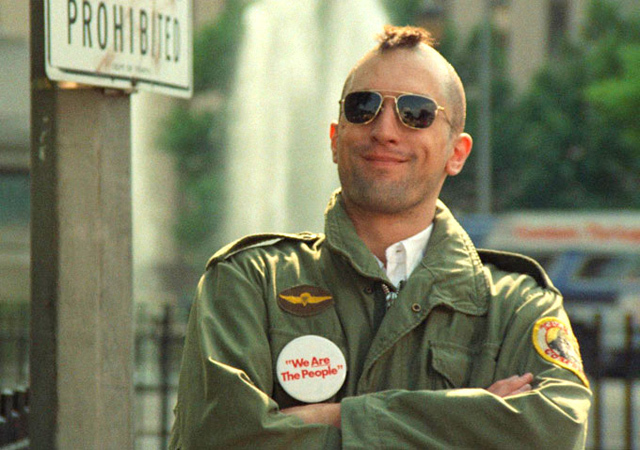 Ray-Ban also launched the Caravan in 1957, a squarer version of the Aviators, which was later worn by Robert de Niro in the 1976 film Taxi Driver. From only 30 models in the early ‘60s, Ray-Ban grew their range of frames to 50 styles towards the end of the decade, keeping up with the pace of the rise of pop culture, fashion, and their celebrity status. It was in 1965 when Ray-Ban released the Olympian I and II which had rounded rectangular lenses that feature a metal bridge. 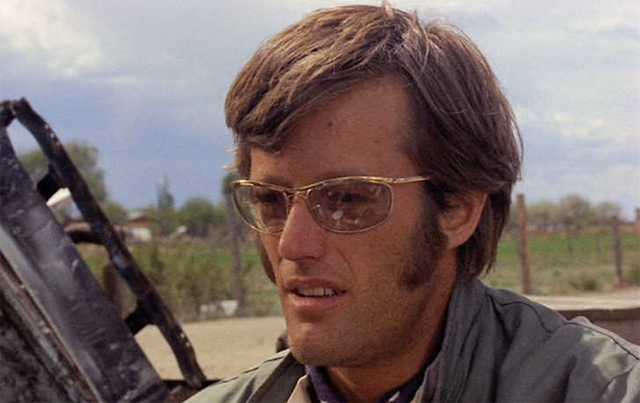 Peter Fonda wore the Olympian in the 1969 film Easy Rider and naturally, the pair’s popularity skyrocketed. Another pair made famous by a celebrity is the Balorama which was worn by Clint Eastwood in Dirty Harry (1971). While fresher pairs were starting to gain more attention, people still loved the oldies but goodies. 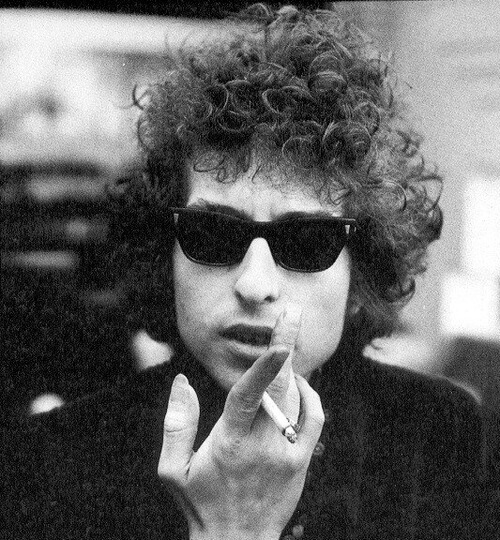 Bob Dylan picked the Wayfarers to be his signature look during the ‘60s. In 1969, Ray-Ban was considered a world leader in the eyewear industry. Once the ‘70s rolled around, Ray-Ban was considered a fashion statement on its own. They came out with two new styles: Vagabond and Stateside, both made with plastic frames and two types of lenses—standard and mirrored. It was also during this decade when Ray-Ban started making prescription sunglasses. Around the same time, Ray-Ban Aviators got a bit of feminine flavor. The lenses came in softer colors like browns and pinks, and some were even delicately studded with rhinestones. Pop culture kept the brand alive in the ‘80s. 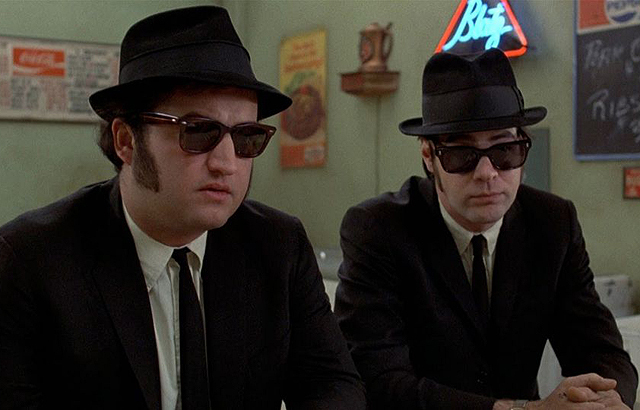 Although the Wayfarers took a backseat for a while, they bounced back big time, appearing in films like The Blues Brothers (1980), Risky Business (1983), and The Breakfast Club (1988). The Prince of Pop Michael Jackson also wore the pair during his Bad tour in the late ‘80s. The Aviators were also worn by Tom Cruise in Top Gun (1986), proving that old flames really never die. 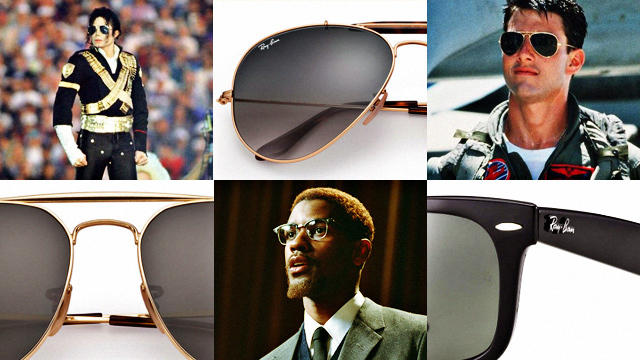 You can say that pop culture really played a big role in Ray-Ban's rise to fame. To give you an idea, when Tom Cruise wore the Wayfarers in Risky Business, there was a 50% increase in sales. And when he wore the Aviators in Top Gun, Ray-Ban saw a 40% increase. Ray-Ban continued to be seen on the big screen in the ‘90s. 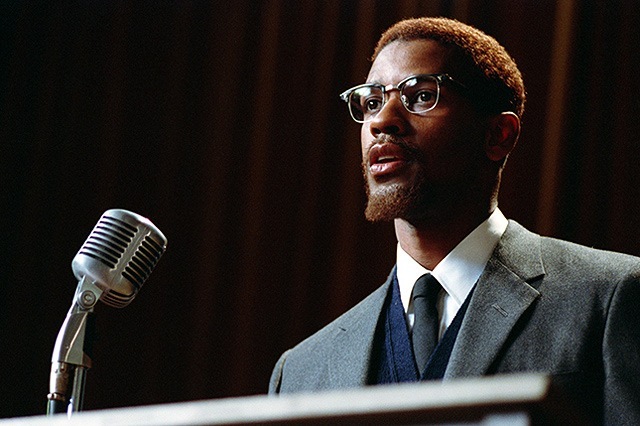 Denzel Washington wore the popular Clubmaster in Malcom X (1992) as did Tim Roth in Reservoir Dogs (1992). Will Smith and Tommy Lee Jones also sported Ray-Bans in Men in Black (1997) while Johnny Depp wore vintage Shooters in the film Fear and Loathing in Las Vegas (1998). But it wasn’t all fun and games for Ray-Ban. 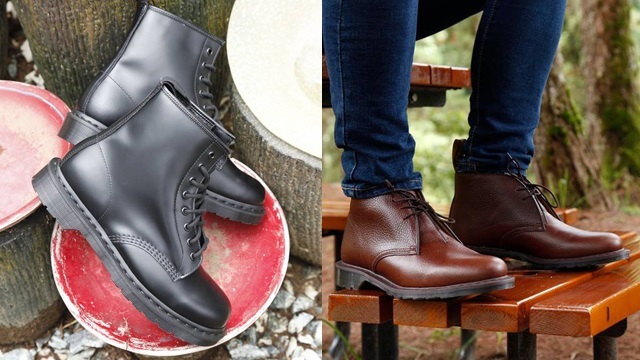 The ‘90s saw the brand’s decline as their frame slowly began to be considered passé. Pairs were sold in gas stations and convenience stores for just U.S. $19. According to Fusion, Ray-Ban was using outdated tools, producing pairs that were of bad quality. It was also in 1999 when Italian eyewear giant Luxottica took Ray-Ban under their wing and bought them from Bausch & Lomb for U.S. $640 million. Luxottica breathed new life into Ray-Ban in the noughties by taking into account new fashion trends while innovating eyewear technology like lightweight carbon fiber and more sophisticated lens technology. Just a year under Luxottica, they were able to resurrect the Aviators, allowing it to sell for U.S. $79—over four times its price when they bought the brand from Bausch & Lomb. And by 2009, its starting price reached U.S. $129. Today, the Aviators are priced at U.S. $150 to U.S. $165. The Wayfarers, on the other hand, made a huge comeback in 2006 when they tapped indie rock musicians for a project called Ray-Ban Uncut: The Wayfarer Session. These days, Vintage Wayfarers can go for a whopping U.S. $800 a pair according to Ad Week. In 2013, Ray-Ban introduced a line of sunglasses where customers were able to customize their own shades. 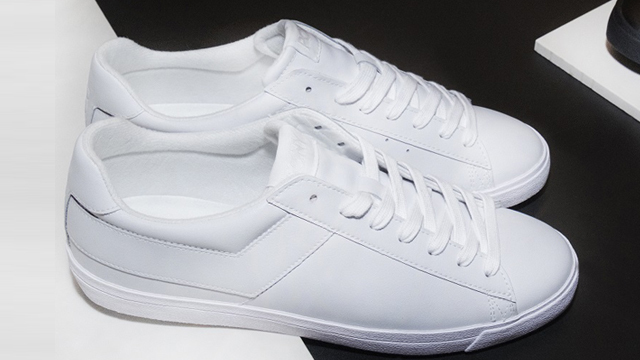 The brand now uses new materials like metal, leather, denim, and wood, as well as cutting-edge lenses to update their classic pairs. You could say that Ray-Ban really made a huge impact in pop culture—appearing in countless films, being worn by notable celebrities, and even sparking a fashion trend. But you could also say that pop culture played a big role in the success of the brand. 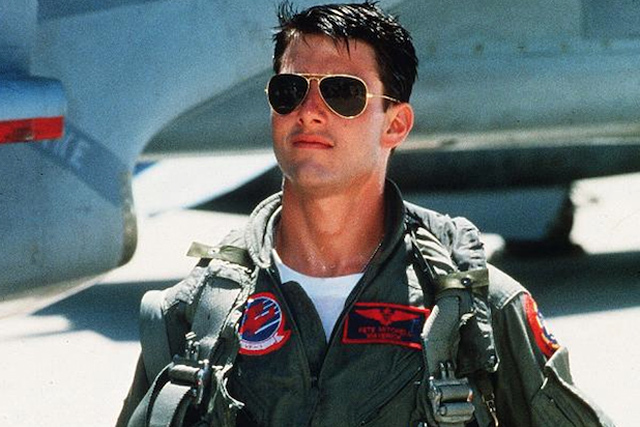 Where would the Aviators be without Tom Cruise giving it cool points? Or the Wayfarers without Audrey Hepburn making it super stylish? What we do know is that Ray-Ban stayed true to their own DNA while embracing technological innovation. It's probably why they still have that rock-star thing going on, even after 80 years.